If clients come to therapy one hour per week, how do they live the other 167 hours? What resources do they have (and need) to manage with their daily life/relationships? Are their coping strategies working – might new ones be helpful? In what ways can clients engage in their own self-help/healing and self-healing? Humanistic theory posits that human beings have an extraordinary capacity to (re-)create themselves as they search for ways to meet their needs. And sometimes, we can lose sight of this: We can feel helpless and hopeless, without resources. But deep within we still have that potential. “Resources are like assets – the more you have, the better off you are”, says Rothschild (2003a, p.19). Therapy provides an empathic space to nurture the growth of clients’ own resources. Here the therapist acts more like a ‘coach/collaborator/teacher’ with the client taking the lead in deciding how they want to be. Resources offer hope and confidence. Therapeutic interventions which remind clients about their strengths and resources can be empowering. Just one session of therapy may be sufficient to remind clients that they are more resourceful than they think. Also, it can be helpful for the client (both during therapy and in the long term) to explicitly use the resources which help them to feel safe, at ease, empowered or even joyful. There are many resources that can be nurtured (see attached handout above). They entail anything which helps the person to feel an ‘OK-ness’ include their own abilities, awarenesses, and practical action, alongside getting nourishment from other people, situations and happenings. When we are feeling desperate, stressed, stuck, struggling with confused emotions, it can be all too easy to lose sight of our own strengths, abilities, knowledge, and coping skills. Without sufficient resources, a person’s ability to function in life is undermined. The question to ask in therapy is ‘How might these resources be marshalled’? Insight, awareness and self-understanding are particularly valuable resources which we can be nurtured in therapy. We might, for example explore how a client’s self-destructive behaviour is preceded by feeling swiped or shamed, or by a feeling of emptiness. Therapy can then focus on becoming aware of those resources that can be accessed, allowing more choice-full responses. (This can be regarded as a facet of our ‘teaching’ role and operates at a more cognitive level. Different therapeutic modalities would language this in different ways, e.g. ‘decontaminating the Adult’ in TA, ‘teaching emotional control skills’ in CBT or ‘broadening the field’ in gestalt work). Two routes to nurture self-understanding are offered here: ‘self-help’ and ‘feedback and information giving’. Of course most people cope and survive the challenges in their everyday lives, without therapy! As therapists, we can sometimes forget this and instead end up fostering an unhealthy dependence on therapy. We need to remember to respect clients’ own creative capacities for self-healing and self-help. Reading inspiring biographies and autobiographies – Personally speaking, I’ve used Karp’s Speaking of sadness which draws on many people’s experiences of depression; Bayley’s Elegy for Iris on dementia. Reading popular self-help books about mental health – A few come to mind: I never promised you a rose garden by Joanne Greenberg on schizophrenia; Why marriages succeed or fail by Gottman on marriage; Courage to heal by Bass and Davis on surviving sexual abuse. Reading psychotherapy books – My personal favourites are: Axline’s Dibs: In search of self; Yalom’s books like Love’s executioner; Spinelli’s Tales of unknowing. Gentle, curious, supportive feedback (and possibly challenge) can act as a useful mirror for the client. Through feedback, clients learn to become more better witnesses to their own relational processes. They learn to appreciate the impact of their behaviour upon others. The nature of mental health problems – Numerous clients over the years have approached me saying they have been diagnosed as having a … “personality disorder” or “Asperger’s”… and they ask, “what exactly does this mean? !” Of course, the client deserves more than a potentially diminishing reductionist diagnostic label. As part of exploring mental health issues and perhaps helping the client live with their mental health challenges long term, perhaps the client would benefit from going to their doctor to see if medication (or another intervention) might help. Emotional literacy – I use this concept of ‘emotional literacy’ to mean the ability to understand one’s own and other’s emotions, and also to be able to handle and express them constructively. Of course this is an implicit aim of most therapy, but it also applies more specifically when we teach clients about some elements of psychology and psychotherapy theory. Commonly I will share some basic TA theory or about the ‘drama triangle’ as a user-friendly way of grappling with complex internal and relational processes. When the clients can understand what might be happening, they might be able to change their own relational patterns themselves. Cognitive-behavioural strategies commonly focus on behavioural outcomes of teaching-learning skills. Others – particularly humanistic-existential therapists – prefer to focus more holistically and on process and resist protocol-based interventions. However, these therapists still need to recognise the significance of clients’ embodied-thinking-feeling responses and the value of intervening positively at one or other levels. In short-term brief therapy, it may be most fruitful to engage in a more directive cognitive-behavioural type of approach. Regardless of our particular theoretical orientation, we have a role to play in challenging distorted, self-defeating thinking and/or encouraging the development of new behavioural repertoires (e.g. anger or anxiety management, parenting skills training and assertiveness training). I would say that we have a responsibility (of course this is in collaboration with our clients) to enable clients to develop resources and sustainable long-term survival strategies. To this end we might recommend self-help, or try to nurture awareness, or we may use psycho-educational interventions as part of empowering the client to modify their way of being. This process as a whole is what I am calling ‘resourcing‘ and it is an important tool across all modalities. Personally speaking I like the existential celebration of “doing justice to the way clients live their lives, rather than to eradicate specific problems” (Deurzen & Adams, 2011, p.1). I embrace holistic humanistic values underpinning therapy which see the client as active, autonomous and entitled to search for life satisfaction. By working with them to develop resources and nurture their independence, we aim to enable clients to find meaning; we also reaffirm that the clients make their own choices and have strengths and capacities themselves. I find myself inspired when witnessing the journeys people take in their lives and the creative ways they help themselves. Strength, courage and inspiration can be found in many places. And it is perhaps salutary to remember that it is not all about what we do as therapists! Rothschild’s work on resources are always useful. See for instance her practical workbook guide (particularly chapter 7): Rothschild, B. (2003a). 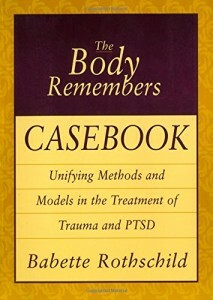 The Body Remembers Casebook: Unifying Methods and Models in the Treatment of Trauma and PTSD. New York: WW Norton & Co.
Norcross, J.W. (2006). 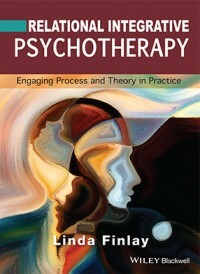 Integrating self-help into psychotherapy: 16 practical suggestions, Professional Psychology: Research and Practice, Vol. 37(6), 683-693 – This article offers 16 practical suggestions for integrating self-help into therapy. Another valuable source of ideas for using clients’ own strengths and resources is: Flückiger, C., Wüsten, G., Zinbarg, R.E.and Wampold, B.E. (2010). 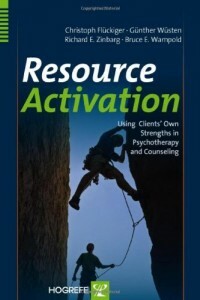 Resource Activation: Using Clients’ own Strengths in Psychotherapy and Counseling. Cambridge, MA: Hogrefe & Huber.